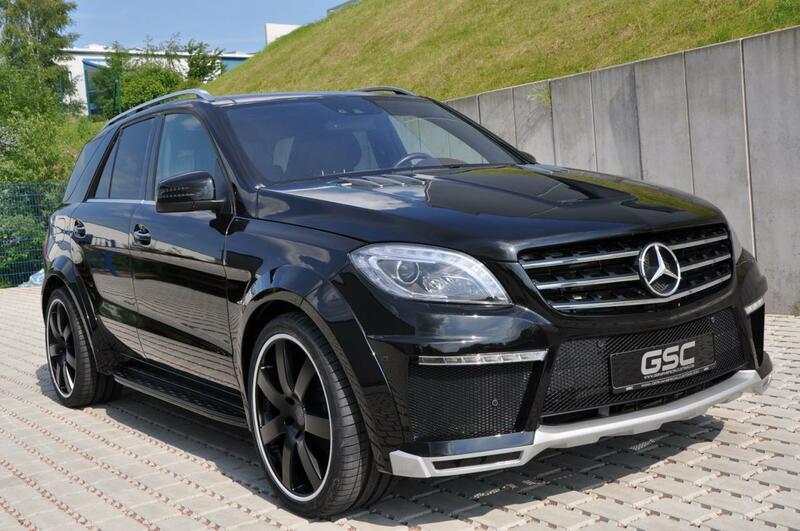 The new Mercedes ML gets today a styling package from the specialists at German Special Customs. 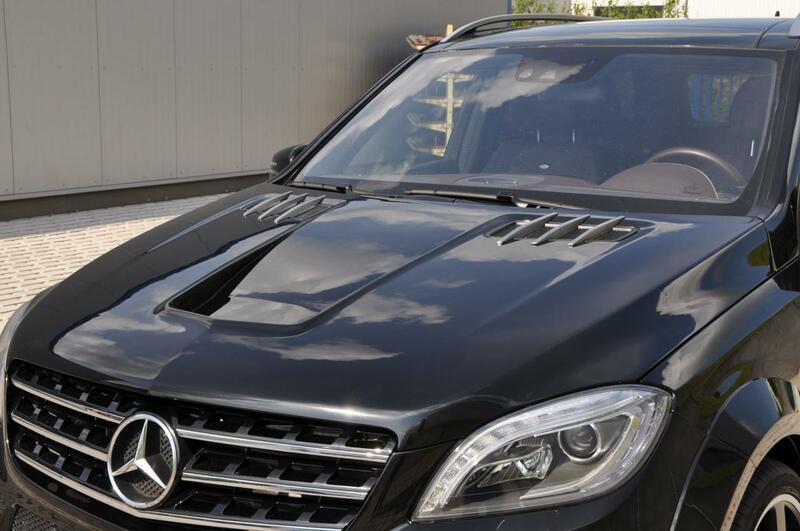 At the exterior, the tuner provides new front and rear bumpers, LED daytime running lights, a ventilated hood, a stainless steel sports exhaust system, a rear diffuser, bumper and extended wheel arches. 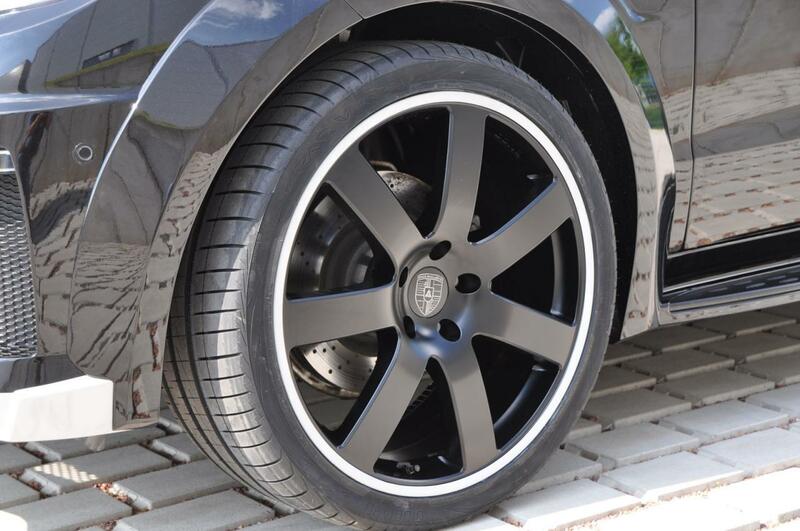 The German SUV rides on larger 22-inch alloy wheels while a revised suspension system lowers the ground clearance. Last but not least, the mirror caps receive a carbon fiber treatment while inside, carbon fiber trim is available alongside a new speedometer and leather seats. 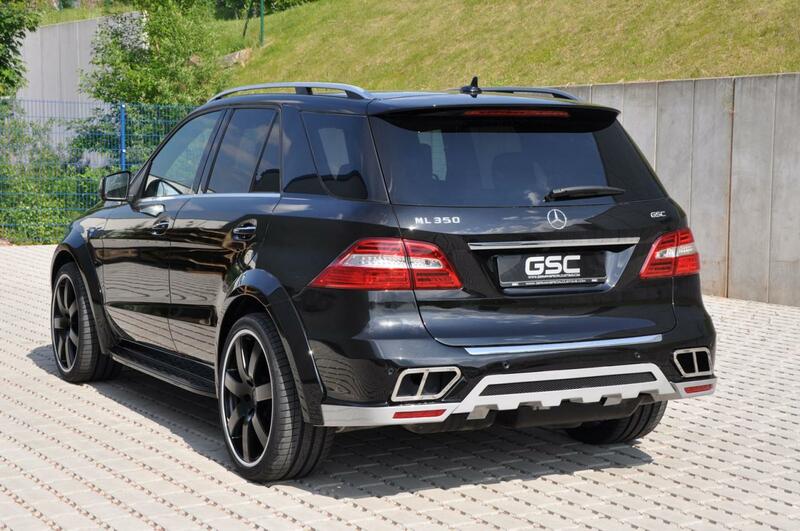 The exterior package is very similar to what you get from the AMG version of the Mercedes ML. Pricing and availability details were not disclosed yet but you can contact the German specialists at German Special Customs for more details.